Before I began paying off my debt, I was stuck in a cycle of pain. As soon as a little breathing room appeared, it would quickly vanish into thin air. Payday came and went, and I had no money to my name. I thought I couldn’t break the paycheck-to-paycheck cycle and that debt was a normal part of life. Living in debt was just part of my life growing up. I thought everyone was saddled with it. My parents always joked that if they had $50 left at the end of the month they worried what bill they forgot to pay. Now that I’m over a decade removed from killing my debt, I know it’s possible to stop living paycheck-to-paycheck. It’s not easy, but it is possible. If you want the cycle to end, you have the power to break it! I don’t share this to scare you, but to point out the danger of living paycheck-to-paycheck. I personally went without all of the above at one point or another, and know others do too. It does take work to break free, but it is possible. 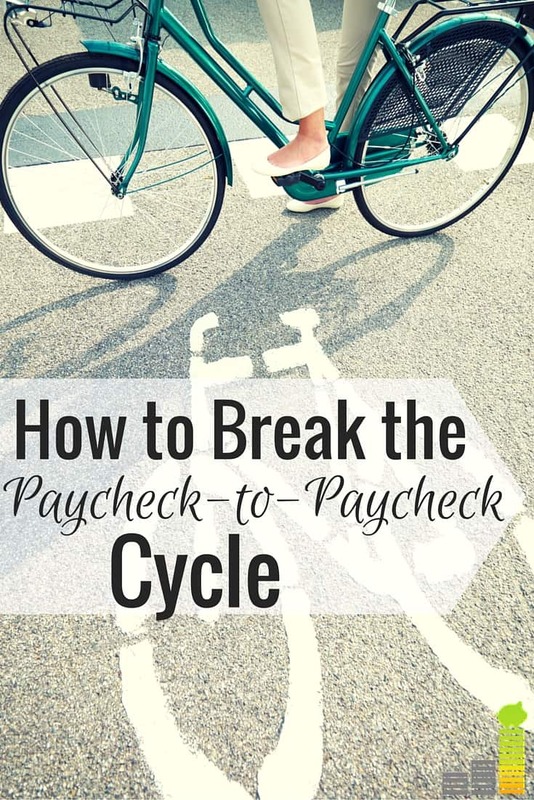 If you want to gain financial freedom, here is how to break the paycheck-to-paycheck cycle. The best way to stop living paycheck-to-paycheck is to look at your spending. If you want financial freedom, it’s vital to cut spending. I’ll cover lifestyle spending later, but first you need to look at your big expenses and how they fit in with recommended monthly budget percentages. Look at your housing first. You don’t want to spend more than 28 percent of your take home pay on your house payment. Many don’t abide by this recommendation. The Motley Fool reports the average household spends 35 percent on their housing. This equates to an extra $6,000 spent per year vs. what was spent in 1950, on average. Look at how much of your paycheck goes to housing. There are ways to lower your house or rent payment. If you have a mortgage, consider refinancing it to a lower rate. Even a reduction of .50 percent can provide breathing room. LendingTree is the best option to refinance mortgage rates. They let you compare rates at up to five lenders to find the best option. After completing paperwork, your rate is reduced and you have a lower monthly payment. Compare rates at LendingTree to see how much you can save. If you rent, consider getting a roommate to help with rent. You can do the same thing if you own as they can help with your mortgage payment. The next biggest expense is your car payment. The average car payment is over $500 per month. If you’re living paycheck-to-paycheck and have a similar car payment this should be the first thing to go. A big car payment is not worth it, especially if you have no money left at the end of each month. Figure out what to cut by tracking your spending on these items. This may sound difficult, but it isn’t. You can use a pen and paper like I did, but there are tools you can use to automate it. Tiller is our favorite tool to track spending. Tiller is a Google Sheets-based tool that pulls in all your bank information so you can monitor your expenses in one spot. This will reveal opportunities to cut back. Tiller is free for the first 30 days, and $5 per month after that. If you prefer a free tool, Personal Capital offers similar tools, plus it lets you track your net worth. You can use either tool for a month to see what you’re spending money on. You may be surprised at what you find. After a month, you’ll be able to see what is bringing you little value and cut it. If you don’t want to bother with looking for a cheap cell phone plan, or cutting cable, you can negotiate pricing to save money. Trim is a free tool that does that work for you. The Trim app even cancels subscriptions or memberships you don’t use to free up more money. Take no prisoners when analyzing your spending. If you can live without an item, cutting it is the best way to stop living paycheck-to-paycheck. Building is the most commonly overlooked area when trying to break the paycheck-to-paycheck cycle. Cutting is great, but will only solve half the problem. You need to start building wealth to break free of the debt cycle. You may think it’s impossible to start an emergency fund and save money. It isn’t. It doesn’t matter if you only save $10 per month, you simply need to start saving. An emergency fund is the best way to avoid sliding back into debt, and making the situation worse. There are even banks that let you start with no minimum balance and pay a decent interest rate. You can open an account with nothing and start saving. Barclays is our favorite as they have no minimum balance requirement and they pay 2.20 percent – 24x the national average! It doesn’t matter you’re starting with little, the act of starting is what matters. You can make extra money in two ways, at your day job or a side hustle. Your day job has limited returns, but don’t overlook it. A side hustle is often the best way to start making extra money. Deliver meals: Regardless if you have a bike, car, or scooter you can deliver meals. Uber Eats is a great option to deliver meals, and you can set your own schedule. Drive for Lyft: Do you have spare time during the evenings, or weekend? You can make money driving for Lyft. They let you set your own schedule and you get to keep all your tips. Lyft even offers a $1,000 earnings guarantee in your first 30 days, after completing 125 rides. Grocery shopping: Yes, you can make money grocery shopping. You can either pick out groceries for people, or deliver them to their home. Instacart Shopper pays up to $20 per hour for shoppers. This can be a great way to make money if you have a flexible schedule. Don’t overlook monetizing your free time. Do you watch TV at night, or have other dead time? You can use that time to take paid surveys for cash. Pinecone Research: They pay $3 per survey and they pay cash directly to your PayPal account. They also pay to do product testing. Opinion Outpost: One of the top survey sites in the space and they have quarterly $10,000 prize drawings. You won’t get rich taking surveys, but it’s one of the best ways to get money now to pad your budget. Stopping spending often comes as a result of tracking your spending. It’s best to pair this with knowing your spending triggers, and how to avoid those situations. If credit cards are a problem, shop only with cash. If credit cards aren’t a problem, still shop with cash and carry one credit card for absolute emergencies. Don’t shop for fun. Instead, find a cheap or free form of entertainment. The next step is to reduce the interest rate on your consumer debt. You can do this by consolidating the debt into a lower rate personal loan. This ensures more of each payment goes towards the debt and not interest. Our favorite option is Even Financial as they let you compare 17 lenders in under two minutes. After completing a brief application, they provide you with quotes for the best matching lenders. If you have student loans to consolidate, SoFi is a great option. They offer rates between 2.56 and 8.02 percent. Not only can they reduce your rates, having one payment is much simpler than multiple payments. Check your rate at SoFi to see how much you can save. 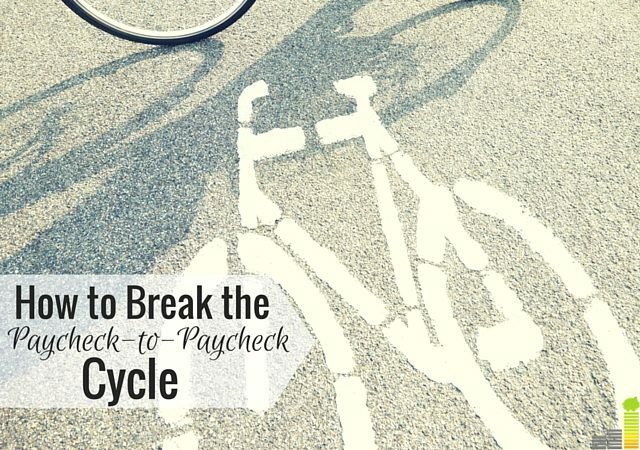 In order to break the paycheck-to-paycheck cycle, you need to recognize it’s a problem. You need to be real with yourself. You need to realize you’re your own worst financial enemy. I know that sounds harsh. We have friends who complain of living paycheck-to-paycheck only to admit they foolishly waste money each month. I was guilty of the same problem. I failed to see the connection between crazy spending and having no money left at the end of the month. Each of the above statistics can be reversed, it just takes simple steps to gain traction. We all crave freedom. Living in a paycheck-to-paycheck cycle is not freedom. It’s enslavement. We finance our futures at the expense of living an imbalanced present and then don’t understand why there’s no money at the end of the month. We start the next month hoping this one will be different, only to find ourselves in the same spot. That is the definition of insanity and a place I used to call home. It does not have to be that way. You can break the paycheck-to-paycheck cycle and have financial freedom. It won’t happen overnight, but you can do it if you start taking steps today. What did you do to break the paycheck-to-paycheck cycle? What’s one other area you think should be cut if you have little left over at the end of each month? Why do you think so many live paycheck-to-paycheck? Living paycheck to paycheck is the worst! We did it for a really long time – even though we made plenty of money. We broke the cycle by drastically cutting our spending until we got to the point where we were living on a portion of our income. Completely agreed Holly. We did virtually the same thing – we learned to be satisfied with what we had and not spend on stuff that took us farther away from our goals. I think many people live paycheck to paycheck because they aren’t willing to make any sacrifices. I’m not saying everyone, but a lot. I know many people who complain about money, but I see them eating out, playing volleyball tournaments, etc. What’s it going to take?? Excellent point Tonya. I know that was the case for me in the past. I think it often takes seeing your situation being a direct result of your choices. “No sooner did breathing room appear than it would quickly vanish into thin air. Payday came and went, with everything spoken for.” The real truth, right there in writing. I am so grateful for the day when I learned (thanks to you, Grayson and others) that we didn’t have to live paycheck to paycheck. It IS possible to break the cycle! Well, thanks Laurie. 🙂 I’m thankful I learned it as well. Life is not meant to be lived struggling along because of poor choices. As a spender, I find coming from a place of “no” works really well to stop living paycheck to paycheck. Also, paying myself first (automating savings) is huge for me. Yes on the automating savings! That makes it so much simpler to tackle in my opinion. I think sometimes just having the realization that you don’t have to live that way (paycheck to paycheck) is liberating. There’s a cultural expectation that we should spend everything we make, but it’s just not so. In my experience, learning to live on less is a lifelong gift Mr. FW and I gave ourselves! That’s a great point. I find it can feed on itself the more you surround yourself with those who have that mentality. They equate a “good life” as one filled with spending or accepting debt as “normal.” It doesn’t have to be that way. Good stuff as usual. Hard to break this cycle, needs lifestyle changes and new set of values at times. This points put some of the hidden things like food waste, it’s sometimes surprising what you turn up in potential savings by looking at everyday habits. And it doesn’t take becoming a minimalist, although that wouldn’t be bad either. Thanks Miles. I agree. I’ve spoken with many people who just don’t realize the money they’re throwing away through simple choices and it all adds up. We were living paycheck to paycheck just a few years ago. 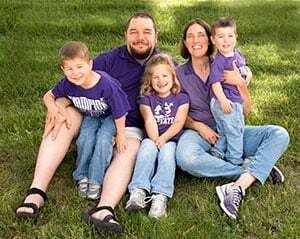 We did three main things to change that: we stopped eating out as much, we bought WAY less clothing and material items, and we started side hustling. I think it’s important to recognize whether or not your income is the problem. Below a certain threshold of income, you aren’t going to frugalize your way to savings and financial progress. But I think the more common problem is recognizing that one has enough income, and is just over-spending, or perhaps not spending as strategically as possible. That distinction is important so you can work the right angles–focusing first on making more or spending less, whichever applies. Of course it’s good to do both but it can be overwhelming and even defeating to tackle too much at once. Completely agreed Kalie. It sort of goes back to what I mentioned – saving is great but it’ll only take you so far when, really, focusing on both that and income production is best like you said. I think you bring up an important point though – realizing you have enough coming in but not spending/saving as you should. 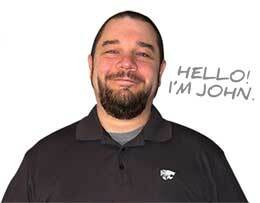 John there is one thing I would add that you left out. You did a great job of covering the cost-cutting measures people should take, but it seems to go from there to earning extra money. I didn’t see any mention of increasing income at your 9-5, which can have a much more material impact than a side hustle and typically does not require using any more of your free time to get those extra $. Overall I agree with everything you said, but too often people are too comfortable at their current job/employer and aren’t willing to take some risks and step outside their comfort zone when it comes to their 9-5. I completely overlooked that DC – I added in a few sentences about that. Chalk it up to me not being in an office I guess. 😉 Seriously though, that is a good point. I think so often it’s easy to overlook what’s staring us right in the face and finding ways to make extra at where you’re already working would definitely fit into that. Sometimes it is an income issue, so earning more helped me. I never made a lot on a nonprofit salary, so just barely afforded my rent and student loan payments. I think spending less, earning more, and socking away money can really help. Hey Melanie! I would agree – in many instances it simply comes down to income and what you’re bringing in. I wouldn’t say that’s always the case as you can make a decent salary and make foolish spending choices and end up in a similar situation. This was a fantastic read, thanks!! We sort of live paycheck to paycheck…haha. Let me explain. We save a LOT each month, so whenever we get paid, we put money in savings, pay all our bills that are due or just that we could pay (we’re way ahead on most bills) and then leave some money in the account for food/gas/etc. So, if we spend all our food/gas/etc money before the next paycheck comes, we are sh** out of luck haha. I would say we usually leave justttt enough to make it to the next payday! Thanks Sarah! Ha ha, we’re very similar as well – a lot of what we bring in goes to retirement and other savings we have going on so we just truly operate on what’s needed and not much else. Reading this article helped me realize my spending is a habit I can change, and paying attention to WHY I spend makes a huge difference. I learned that I spend money I should be saving to a) make someone else happy, b) keep up with the Jones’ c) make up for bad prior planning or d) splurge as a “reward.” What’s so amazing is how ingrained these behaviors are, almost unconscious. Usually it’s not until I’ve spent the money and I feel bad I realize I wanted to put that money in the bank. Don’t get me wrong, we save and invest, but I find I can and should do better. Rainy day funds can never be too high! So many people live paycheck-to-paycheck! The sad part is that many people don’t have to, but they choose to by their consumption choices. The only way to break the cycle is to stop buying liabilities, and start investing in appreciating assets, and assets that generate income. It’s not so bad living paycheck-to-paycheck when those paychecks are from passive investments!